The milestone has arrived – our country’s 150th year. What better time than now to stand proud and represent our Nation as a united community? We are very fortunate to be living in Ottawa – our Capital. We’ve certainly come a long way since our founders first settled here 190 years ago. Originating as Bytown, Ottawa was initially built to house labourers who had been recruited to help build the Rideau Canal. Times have changed between then and now. We are no longer considered the “town that fun forgot” nor are we solely known for being “the highway to Montreal“. We are a thriving, united, Capital with an approaching 1 million residents – and that’s just the beginning. In fact, according to Mayor Jim Watson, “we’re going through one of the most significant transformations in our history“. It’s only a matter of time that we see these spoken of – and otherwise unimaginable to longtime residents – changes come to fruition. With the countless short-term and long-term transformations that are predicted to be completed around our Capital City between now and the next 25-30 years, Ottawa is nothing short of booming. We are an ideal place to live – one that is family-friendly, employment-friendly, restaurant-friendly as well transportation-friendly. There is an “unprecedented number of major redevelopments in the works: LeBreton Flats, the islands around Chaudiere Falls, the former Canadian Forces Base Rockcliffe, the Oblate lands on Main Street, parts of Natural Resources Canada’s Booth Street Complex, Tunney’s Pasture and the shopping centres at Lincoln Fields and Westgate” (to name a few). And that’s not to mention the most current of projects that will transform our city’s way of transportation: the highly anticipated Light Rail System, with its first phase Confederation Line to open in 2018. Moreover, Ottawa has an incredibly steady real estate market; one that’s only predicted to move upward over the next several years. According to the Ottawa Business Journal, January of this year brought in an 11.5% increase in home sales. Kick-starting 2017 at a five-year high says a lot for this time of year, and with the continued anticipation of changes being made within our City in the next coming years, along with members of the Ottawa Real Estate Board selling 667 homes in the last month alone, it is expected to only increase further. If you’re one to enjoy a lot of hype within our city, then 2017 will definitely make your heart sing. 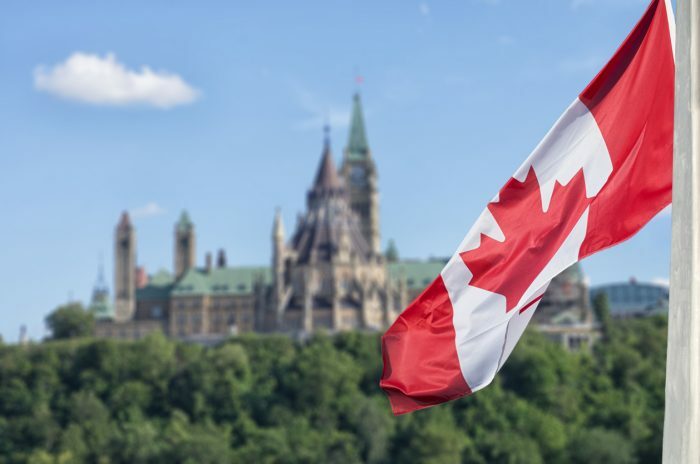 Ottawa will be hosting several high-profiled events this year including (but not limited to) the Juno Awards, the Grey Cup, and the Red Bull Crashed Ice event. Mayor Jim Watson “looks to 2017 as a year that will reshape the City’s tourism image” with the hope that Canadians and tourists alike will “identify Ottawa as the place to celebrate the 150th“. In fact, our City is expected to see an increase of 20% in tourists throughout the year, and is targeting both youth as well as new Canadians as a means for improving several areas of programming: arts and culture, sports and physical activity, business, and social life. The many changes as well as countless events that are to come to our City this year will be nothing short of exciting! We should be very grateful to be such an intricate part of our home and of our country. Let’s spread the word, and stay involved – happy birthday Canada. Cheers to 150 more years! The post Canada Celebrates 150 Years! appeared first on Team Realty.